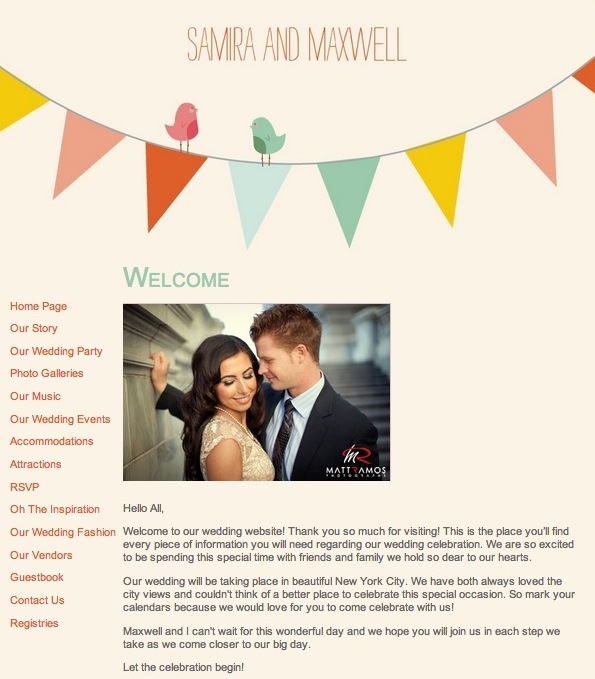 Wedding invitation websites – do you need one? A personalised wedding website is pretty handy if you’re planning on getting married abroad. It makes communication with your guests much easier, and you can upload lots of travel details, recommended hotels, activity plans, maps and itineraries to keep everyone informed. Some sites also provide budget planners and check lists too. If you’re going to create a personal wedding website, it’s worth including the link to the site on your ‘Save the date’ notes. Ask your guests to check the site for more information on your plans. Mywedding.com is a good example. It’s free and it helps you to plan your big day and share details of your plans with your wedding guests. Your site is really easy to set up and there are a number of pretty looking templates to choose from. E-wedding.com is also handy as not only does it manage your guest list for you, it also has a function where you can collect meal choices and other preferences too. There’s a photo gallery function, a blog and even an iPhone App too!